Enormous volumes of photocopies are made every year by educational institutions, by governments and other public bodies, by industries and associations, and by private individuals. The use of such material protected by copyright should be subject to licensing and/or remuneration. Copy content from Indian and international publications. 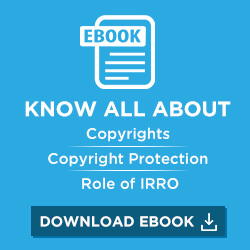 Reduce the risk and potential cost of copyright infringement. Get blanket cover and eliminate the need to seek permission of copyright owners individually. Avail the convenience and certainty of a single transaction with one annual fee. Distribute photocopies in the secured network of your organization. Scan material and make digital copies. Make digital copies available in secured network of your organization. Make photocopies of a photocopy. In countries where most photocopying takes place in shops, it is important to ensure that legislation enables licensing in this sector. The exact type, scope and wording of a licence, however, can differ on the basis of the legislative framework of each country.